The new Medical Soft Bag that satisfies all needs in the general, rural and family medicine. 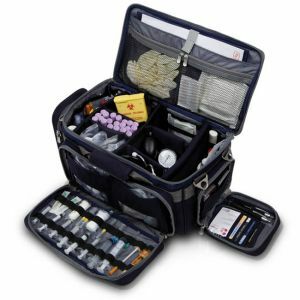 It has been also designed for its use in Medical Emergencies of any type. Interior completely adaptable to the needs of the user thanks to the velcro detachable dividers located in its interior. The elastic bands located in all its inner faces get the fixation of the different materials. 1 external pocket for personal belongings. 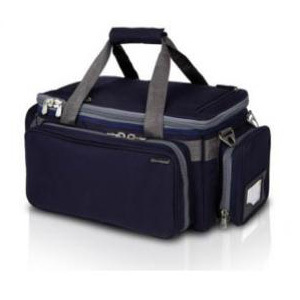 1 big external pocket with elastic bands and wide pockets. 1 flat pocket with clip paper board. 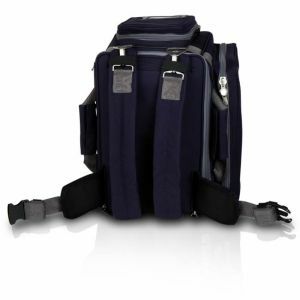 Shoulder strap, handles around the whole bag for a better resistance, hidden backpack and waist belt.